Pittsburgh is a city of neighborhoods. The surrounding area is made up of small communities. This is part of what makes Western Pennsylvania such a wonderful place to live. However it’s also easy to forget about neighborhoods and communities outside of your backyard. When you do this you often miss out on great experiences and the opportunity to meet new and interesting people. Fitness and movement are the same way. If you are new to being active then sometimes it is hard to know what to do because there are so many options. In a similar way, if movement is already a part of your life, then it is easy to get stuck in a rut and do the same routine or activity without considering other experiences. 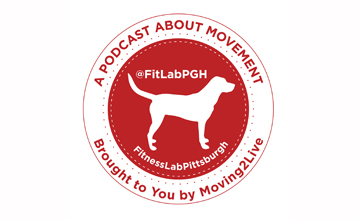 FitLabPGH wants to help you learn about new movement experiences and businesses that take the movement and activity to heart. We’ll also introduce to you people doing really cool things relating to movement in the Pittsburgh area. We are a podcast about movement because movement is part of what makes life complete.